Come and discover the worlds’ largest collection of old teddy bears, as well as beautiful dolls, toy shops, doll’s houses both old and new, constructed true to the scale of 1:12. The Toy Worlds Museum Basle (Spielzeug Welten Museum Basel) is the largest of its kind in Europe. It houses the world’s largest collection of over 2500 old teddy bears – teddys, which are already of a ripe old age, the oldest ones dating back to 1904. From the SBB railway station you can walk (15 minutes) to the Barfüsserplatz or take a tram (number 8 or 11) to the Barfüsserplatz tram stop. From the Badischer Bahnhof, take the number 6 tram to the Barfüsserplatz tram stop. 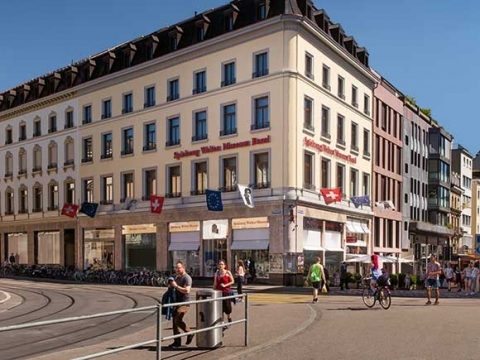 We advise our visitors arriving by car to park in one of the following parking facilities: Bahnhof SBB, Elisabethen, Steinen or Badischer Bahnhof. Children up to 16 years are admitted free of charge only if accompanied by an adult. We accept the Museums-PASS-Musées and the Swiss Museum Pass. The building is accessible by wheelchair.